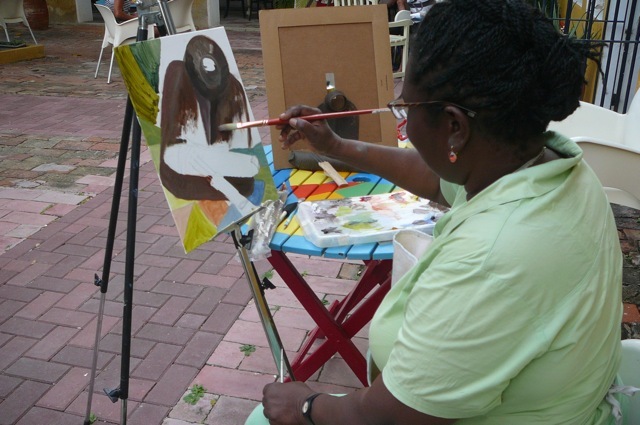 Gallery Alma Blou is the oldest and largest gallery on Curaçao, featuring local and Caribbean art. It is located in the former plantation house at Habaai. The mansion has a classical layout with a large main room, flanked by a front- and back gallery. Daylight filters in through these galleries, enhancing the beauty of the inner spaces. 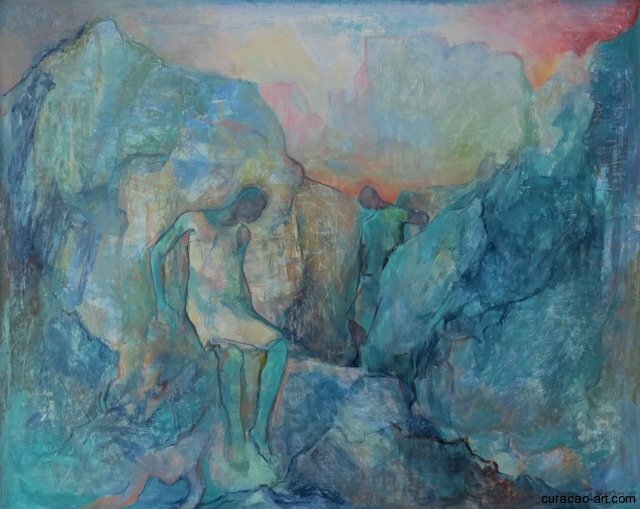 Collections of paintings, sculptures, ceramics, jewelry and dolls are exhibited in different spaces in such a way that their quality stands out even more. 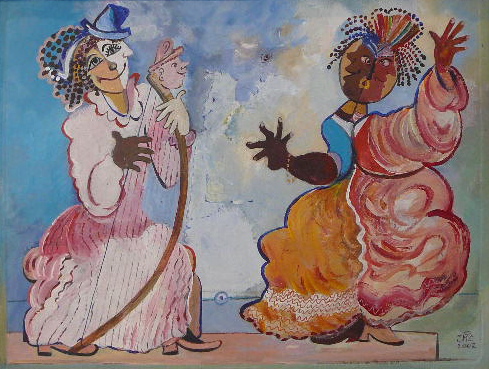 Themes and materials vary widely, but all art has a Caribbean character and Curaçao flair. Artists are inspired by the colors, the architecture, the people, the underwater life, the wind, mythology, the sea or the landscape. 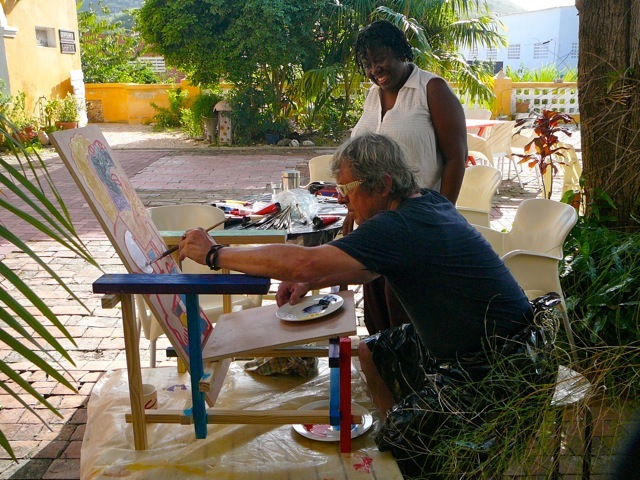 In short, by all Curaçao and the Caribbean with their diversity has to offer and triggers the artists imagination. Many sculptures are carved in stone, Curaçao marble or crystal, but thanks to the local bronze foundry our artists make beautiful bronze sculptures as well. 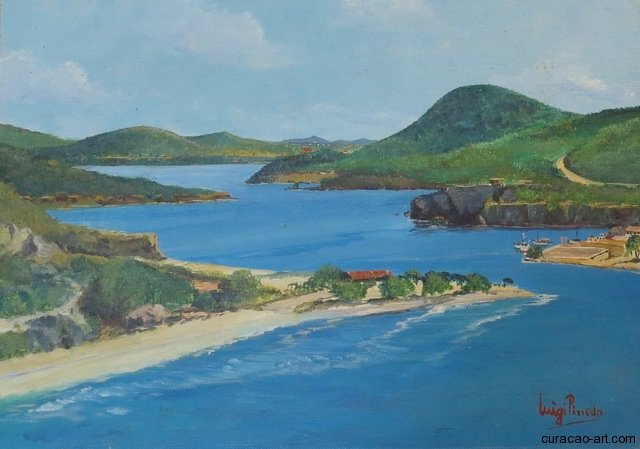 A special section is dedicated to real Curaçao imagery, such as panoramas of Punda and Otrobanda, maps of the island, imprints of old city scenes and books. Plantation House ‘Landhuis Habaai’ (Habaai Mansion) as it shows now, was built in the mid 18th century (+1752). The plantation was founded much earlier and is also one of the oldest on the island. Brazil was a Dutch colony until 1654, when it became Portuguese. At that time the Dutch Colonial Council granted a large contingent of Jews living in Brazil, permission to relocate to Curaçao where they were given a large piece of land on the northwest shore of the Schottegat. This district soon came to be known as the Jewish quarter, because of the various Jewish mansions that arose here. Landhuis Habaai is one of the few to remain. The ‘ Landhuis ’was first owned by Protestants, Catholics and by Jewish families. Although the mansion started out as a plantation and was subsequently turned into a country residence and later on a boarding school, its architecture has remained intact. The central part is flanked by front and back galleries. Above both the central part and the galleries is a complete second floor, crowned by an attic. The northeastern wing was added in the 19th century. And now, in the 21st century, Habaai Mansion serves a new purpose: Art Gallery and Cultural Center. Visit the facebook page of Gallery Alma Blou. December 6 - 21, 2014: 'Nostalgia' by Richard Doest. November 15 - 29, 2014: 'Kant'i playa' by Bianca Berends. May 24, 2014: Anton Heyboer in Gallery Alma Blou. March 15, 2014: Yubi Kirindongo. Rebelde di Alma i Kurpa. 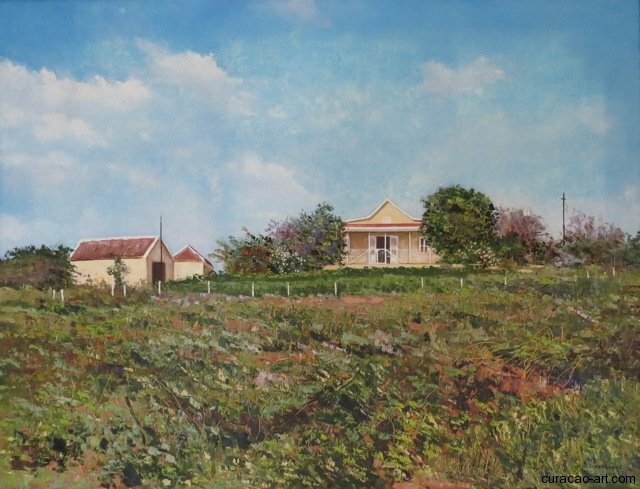 January 12 - 25, 2014: Curaçao scenes by Fred Breebaart. 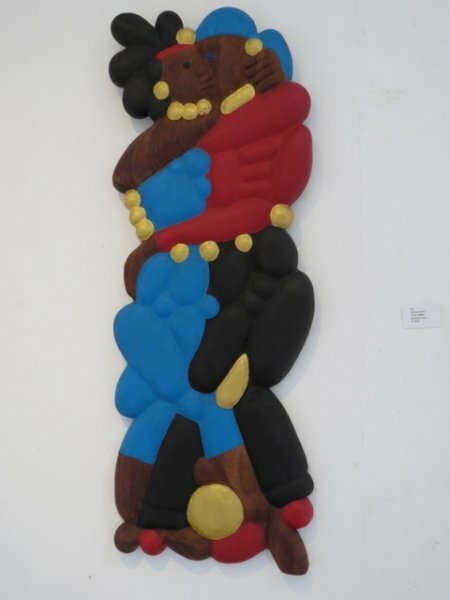 November 30 - December 14, 2013: 'Den Gara di Mañan' by Wilson Garcia. October 5 - 19, 2013: 'Poëzie in Steen' (Poetry in Stone) by Hortence Brouwn. May 9 - 25, 2013: Coral stone sculptures by John de Bont. April 13 - 27, 2013: Showing of the documentary on Capricorne: De Wonderboom, and exposition of artworks by Capricorne. 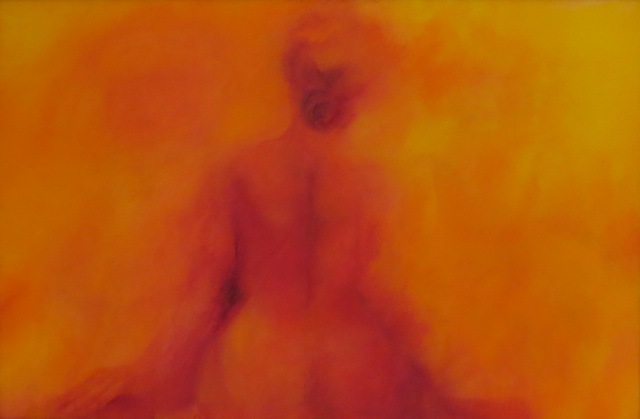 March 8 - 24, 2013: 'From Woman to Woman' by Lies Bruens. November 23 - December 8, 2012: Nelson Gonzalez: Psychographic Acts.